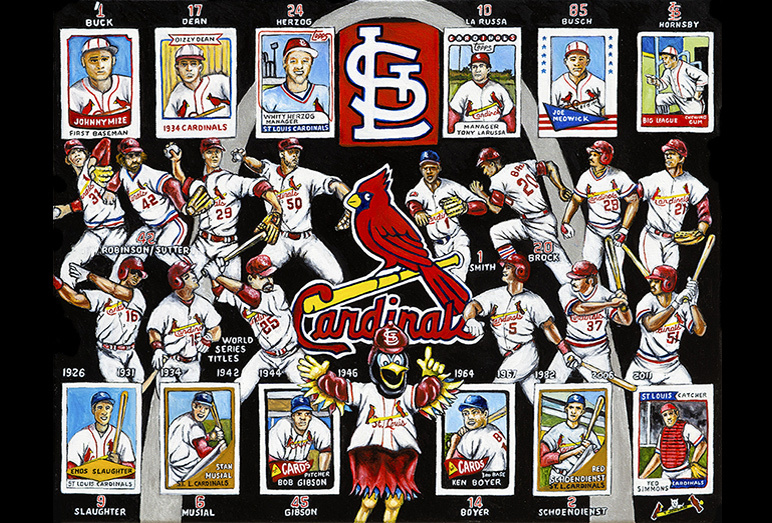 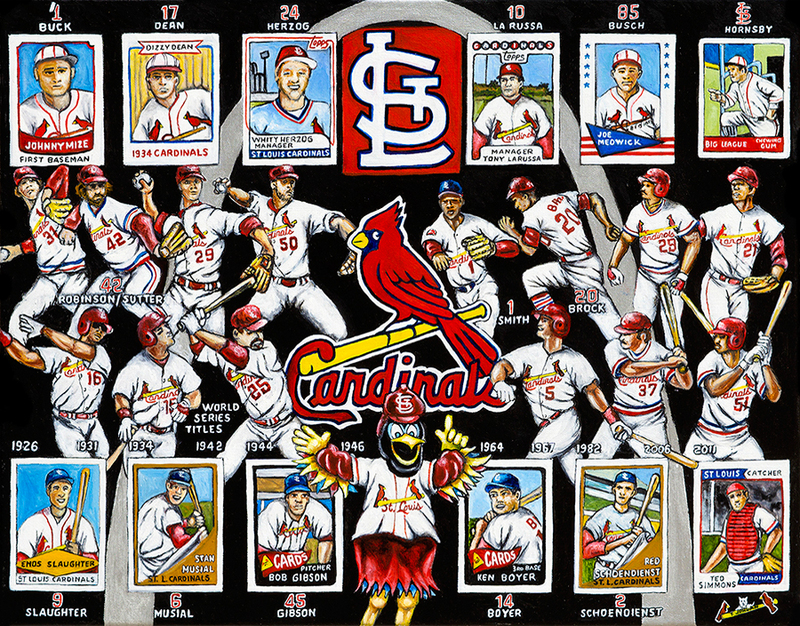 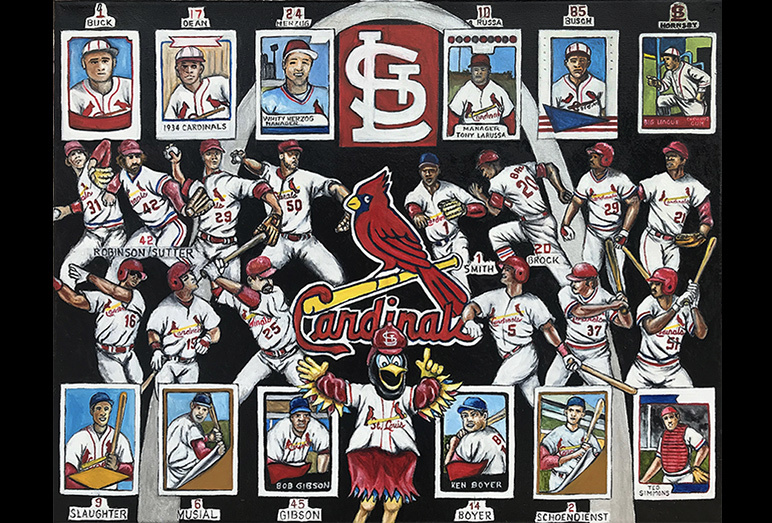 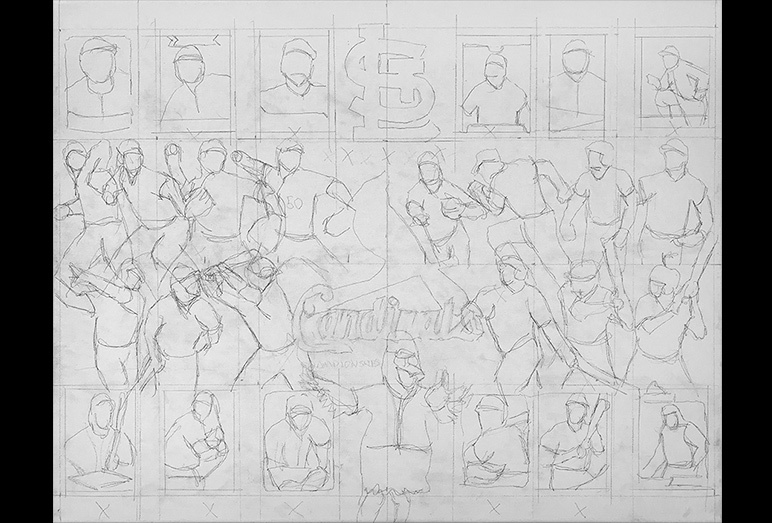 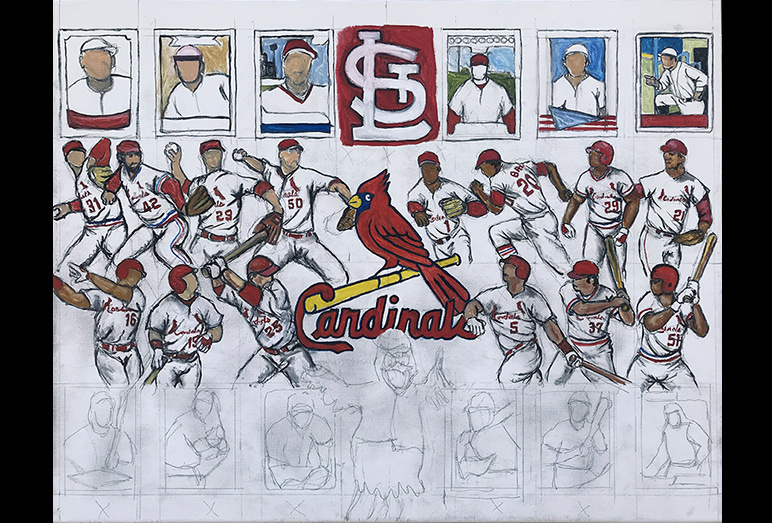 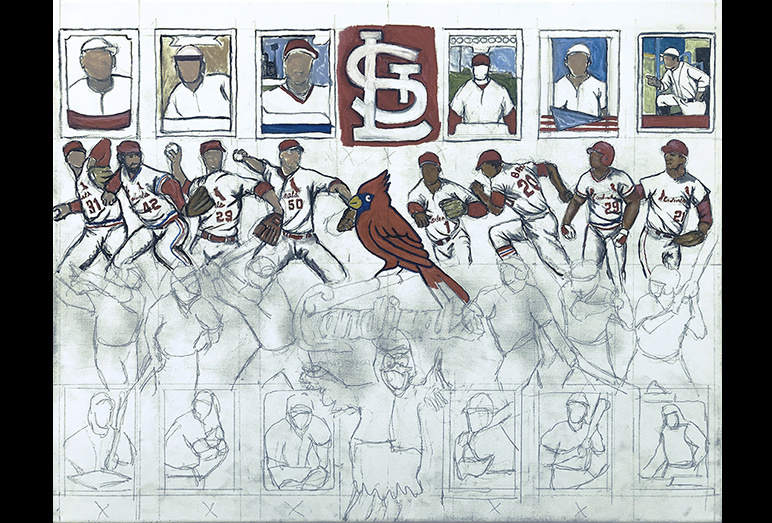 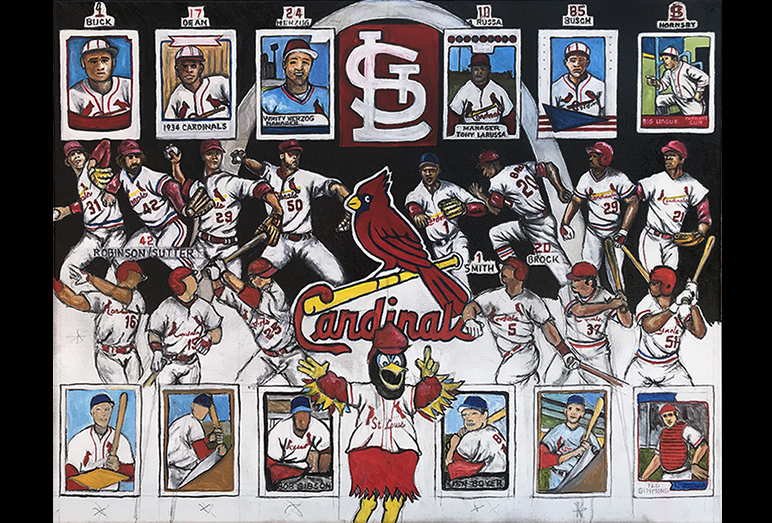 St. Louis Cardinals Tribute -- Painting Progression -- Use controls to view all images. 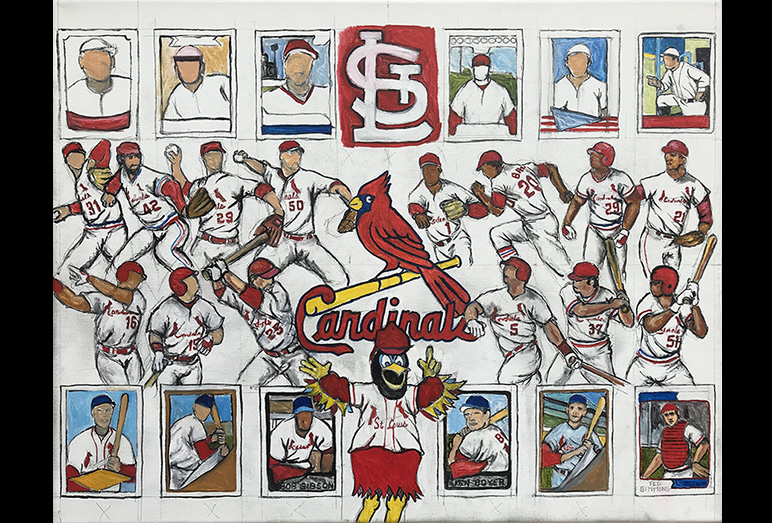 Tom is very excited to introduce his new St. Louis Cardinals Tribute painting. 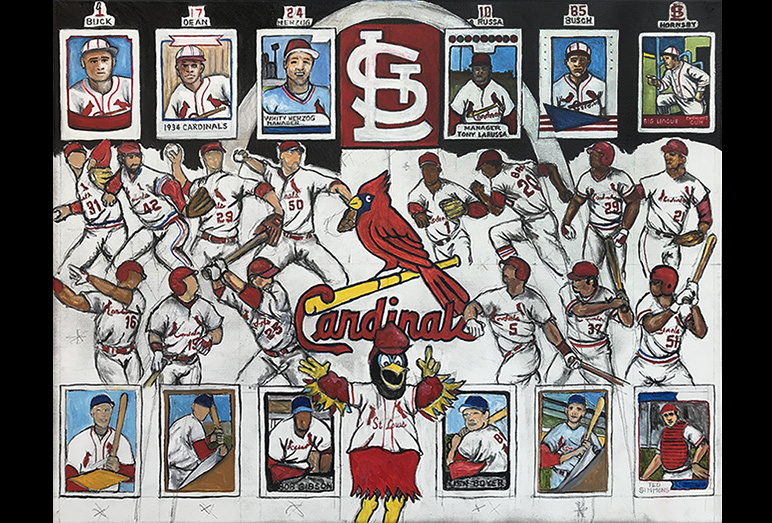 One of the most successful franchises in baseball history, the Red Birds have a lot to be proud of including eleven championships, a host of legendary players, and a fan base second to none. 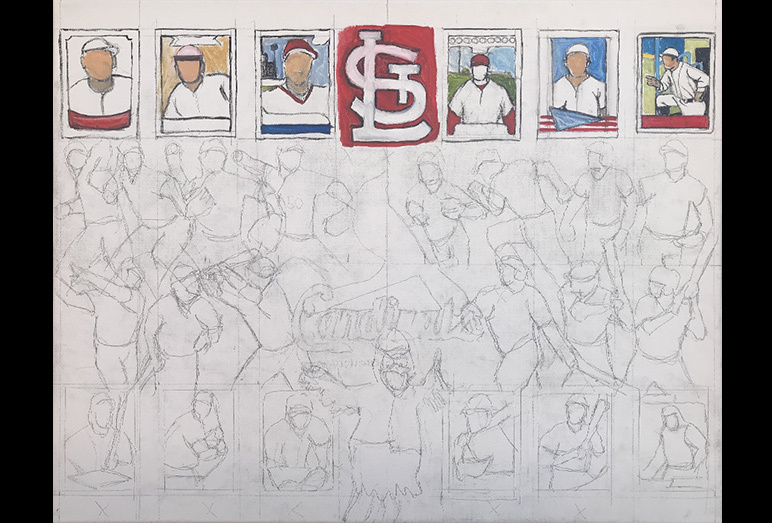 Enjoy watching this painting develop and come to life.